. Published on March 10, 2017 . Spring has sprung, which means it’s time to put away those puffy coats and stringy scarves and bust out the shorts, T-shirts, and sandals. During this time of renewal, when the cold weather moves out and the warm spring sunshine breaks through the clouds, there are several ways in which you can take advantage. First things first – transition your wardrobe from long pants and coats to something a little lighter. Dust off the T-shirts and dig out that cute sun dress that’s buried in the back of your closet. To make your spring wardrobe even more enticing and comfortable, indulge in some clothing made of moisture-wicking, luxuriously soft bamboo. This eco-friendly fabric is incredibly lightweight and breathable, the perfect feeling after a long winter. Spring is the perfect time to give your mattress a little TLC, and rotating it or, better still, upgrading it will do just the trick. How old is your mattress? If you’ve had it for longer than 10 years, it’s time to get a new one. If it’s not quite that old, rotating or flipping it over is one of the best, and easiest, things you can do to help retain the quality and life span of your mattress. According to the National Sleep Foundation’s Bedroom Poll, conducted through WBA Market Research, about nine in ten rated that having a comfortable mattress (92%) and/or comfortable pillows (91%) are important in getting a good night’s sleep, while just slightly less rated a comfortable feel of sheets and bedding (85%) as important. About seven in ten rated pillows (70%) and bedroom temperature (69%) as having a big impact on their ability to get a good night’s sleep in the past two weeks. When asked about how elements of the bedroom contribute to creating a romantic environment, respondents rated a comfortable mattress (78%) and comfortable feel of sheets and bedding (73%) as important. A fresh set of sheets for a fresh spring – there’s no better feeling. Most likely Your sheets have covered you well through the cold winter, and they’re more than capable to take you through spring, but consider freshening up your bedroom with a new color. A nice blue or a soft mint will bring a welcome sense of freshness to any bedroom space. 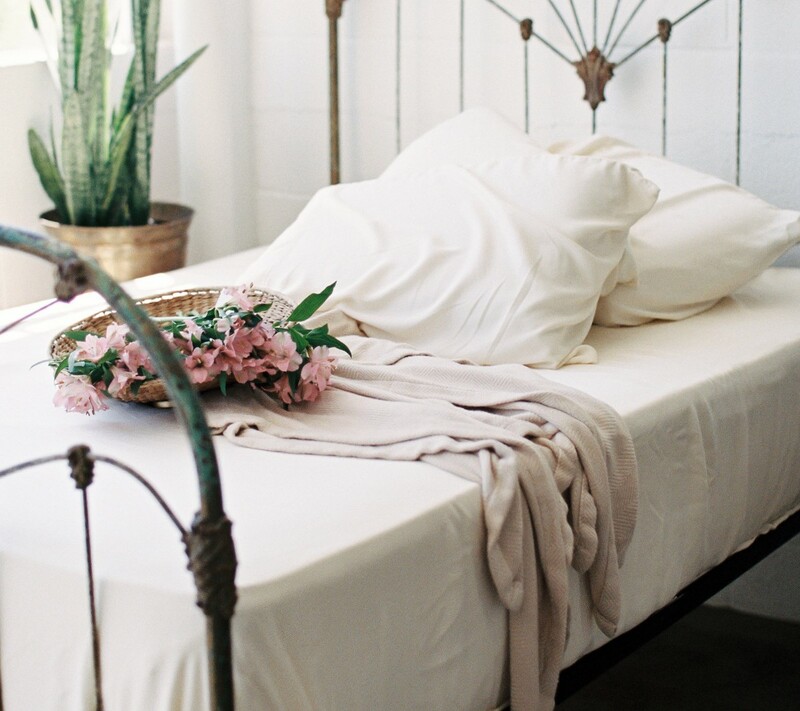 Make your bedroom a sleep sanctuary, a respite from the stresses of the day. It’s not just a place to sleep, it’s also a place where you spend at least a third of your life, not including the time you spend there reading, relaxing, working, recuperating, etc. Not to mention all those breakfasts in bed. The blossom of spring means summer is just around the corner. You might be thinking that it’s too late to shed that extra winter weight, but know this, it’s never too late to get in shape. To help motivate your spring workout, get some new workout gear. A comfortable tank top and cropped yoga pants are great choices to help start your fitness routine. What are some of the things you do to get spring ready? Let us know in the comments.